Our most advanced skin care system, NovAge, is developed based on a scientific study about skin ageing. The study, called AgeReflectTM, was performed by Oriflame scientists, and we asked our Senior Director of Science of Innovation, Dr Alain Mavon, to tell us more. AgeReflectTM is a unique scientific skin-ageing study, designed and conducted by Oriflame’s own scientists, to better understand skin ageing and its impact on perceived age in a global context. 2. WHY DID ORIFLAME DECIDE TO CONDUCT THE AGEREFLECTTM STUDY? The goal was to understand the signs of ageing that really drive an older looking skin, in order to design targeted and unique skincare solutions to counteract these signs. 3. HOW WAS THE AGEREFLECTTM STUDY CONDUCTED? The first phase of AgeReflectTM was conducted with almost 300 women, aged 15 to 65. We mapped and analysed women’s facial features using cutting edge techniques and photographed their faces using a high resolution imaging device. Separately, around 600 women were asked to estimate the perceived age of the women we photographed. 4. WHICH EXPERTS WERE INVOLVED IN THE AGEREFLECTTM STUDY? The team of Oriflame experts were cross-functional and included experts in marketing insights, skin biology, skin clinical assessment and regional teams. 5. WHAT WERE THE KEY FINIDNG OF THE AGEREFLECTTM STUDY? One of the most outstanding findings was that four out of five women don’t look their real age. AgeReflectTM allowed us to create a unique database of information about the sign of ageing that trigger an older or younger skin, as well as building our own grading scale used in our clinical testing facility to validate the efficacy of our skin care products. 6. WHICH FINDINGS FORM THE AGEREFLECTTM STUDY WERE MOST IMPORTANT IN THE DEVELOPMENT OF THE NOVAGE SKIN CARE SYSTEM? By mapping the women’s facial signs with their real age against their perceived age, our scientists discovered a clear correlation between certain skin-ageing signs and negative age perception. They identified the 12 skin-ageing signs that matter the most. 7. WHICH FACIAL SKIN FEATURES INFLUENCE AGE PERCEPTION THE MOST, ACCORDING TO THE AGEREFLECTTM STUDY? It very much depends on your age, as the signs of ageing differ depending on whether you are 30 or 55. As an example, at 30-55 fine lines become more prominent and lead to older-looking skin. 8. DO WOMEN OF ALL AGES PERCIEVE SIGNS OF AGEING IN THE SAME WAY? Definitely not. And old and young person won’t estimate the same age for a given person, as their perception is very different. This is a very interesting area that we’re digging into. 9. 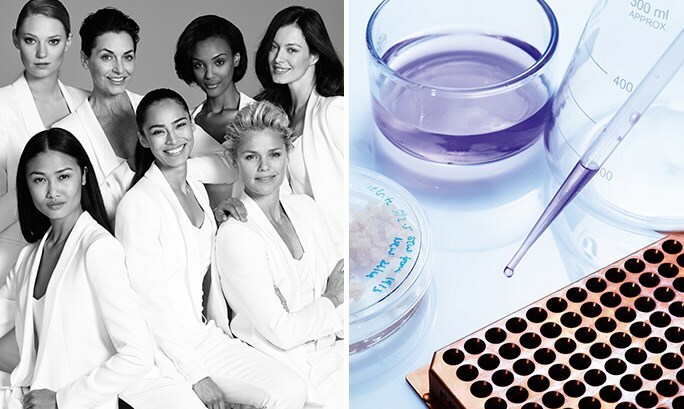 WHERE CAN I READ ABOUT AGEREFLECTTM, THE GROUND-BREAKING SSCIENTIFIC RESEARCH BEHIND ORIFLAME’S NOVAGE SKIN CARE SYSTEM? Part of the huge number of results are now published in cosmetic scientific journals and can be found here: International Journal of Cosmetic Science and Skin Aging Characteristics of Russian Women.